A rum baba or baba au rhum is a small yeast cake saturated in liquor, usually rum, and sometimes filled with whipped cream or pastry cream. It is most typically made in individual servings (about a 2" tall slightly tapered cylinder) but sometimes can be made in larger forms similar to those used for Bundt cakes. The batter for baba is even richer than that for brioche, and includes eggs, milk, and butter. The original form of the baba was similar to the babka, a tall cylindrical yeast cake. The name means 'old woman' or 'grandmother' in the Slavic languages; babka is a diminutive of baba. The modern "Baba au Rhum" (Rum Baba), with dried fruit and soaking in rum, was invented in rue Montorgueil (Paris, France) in 1835 or before. Today, the word "Baba" in France and almost everywhere else outside eastern Europe usually refers specifically to the rum baba. The original Baba was introduced into France in the 18th century via Alsace and Lorraine. This is attributed to Stanislas, the exiled king of Poland. The Larousse Gastronomique reports that Stanislas had the idea of soaking a dried Kugelhopf (a cake roughly similar to the baba and common in Alsace-Lorraine when he arrived there) or a baba with alcoholic spirit. Another version is that when Stanislas brought back a baba from one of his voyages it had dried up. Nicolas Stohrer, one of his pâtissiers (or possibly just apprentice pâtissiers at the time), solved the problem by addition of adding Malaga wine, saffron, dried and fresh raisin and crême pâtissière. Nicolas Stohrer followed Stanislas' daughter Maria Leszczyńska to Versailles as her pâtissier in 1725 when she married King Louis XV, and founded his Pâtisserie in Paris in 1730. One of his descendants allegedly had the idea of using rum in 1835. While he is believed to have done so on the fresh cakes (right out of the mold), it is a common practice today to let the baba dry a little so that it soaks up better. Later, the recipe was refined by mixing the Rum with aromatized sugar syrup. In 1844 the Julien Brothers, Parisian pâtissiers, invented the "Savarin" which is strongly inspired by the "Baba au Rhum" but is soaked with a different alcoholic mixture and uses a circular (ring) cake mold instead of the simple round (cylindrical) form. 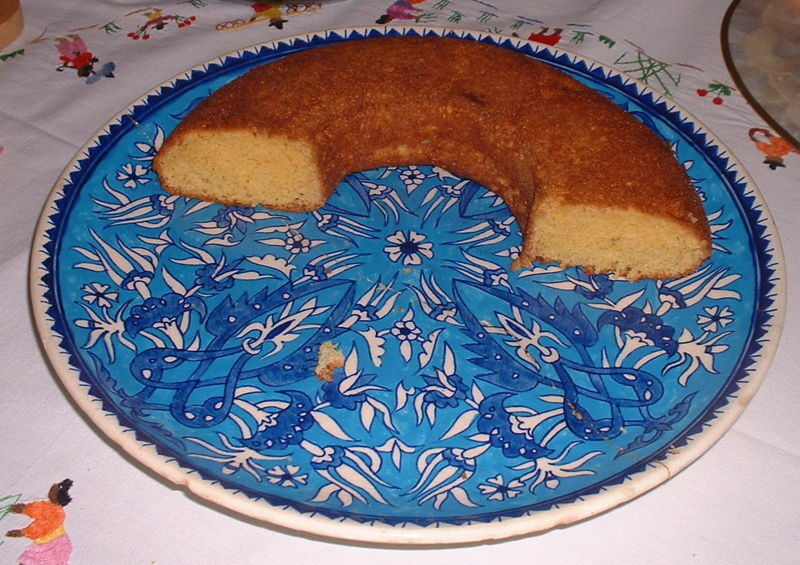 The ring form is nowadays often associated with the Baba au Rhum as well, and the name "Savarin" is also sometimes given to the rum-soaked circular cake.